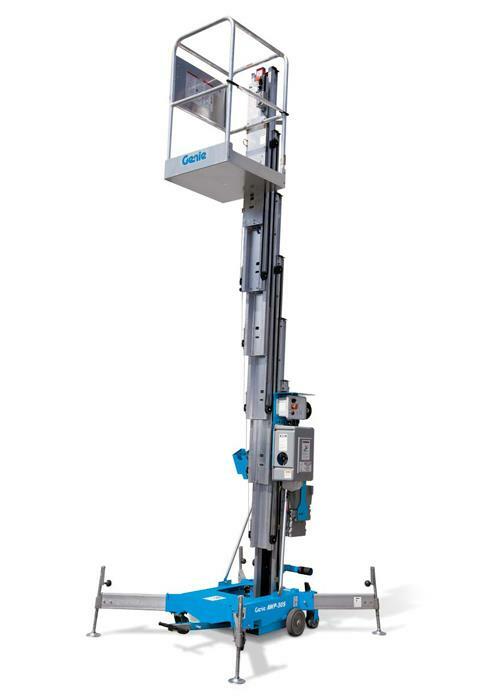 GENIE AWP-20SDC-N ; 20' PLATFORM HGT. = 26' REACH ; LOWERED HGT. 6'6"
WIDTH 29" x LENGTH 50" : WEIGHT 767 LBS. CAPACITY 300 LBS. 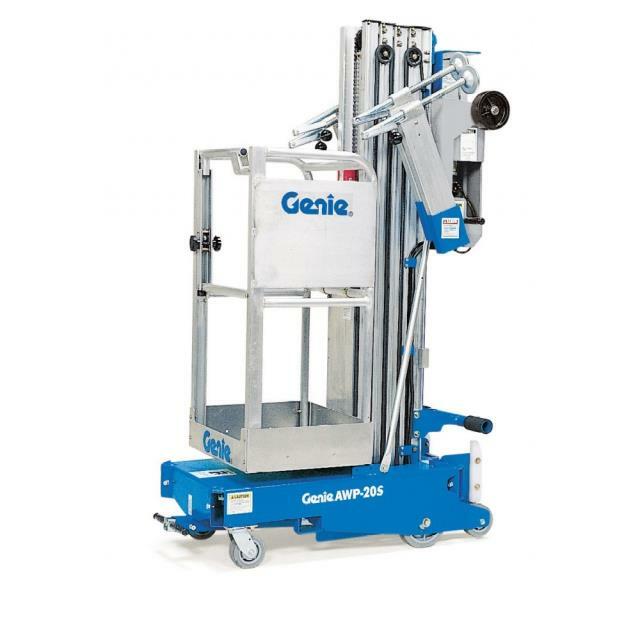 * Please call us for any questions on our genie 20 foot dc w/narrow basket rentals in Cincinnati Ohio.